Remember when you shopped for your wedding gown at Curvy Rose and Chanza assisted you with putting on each and every gown? She not only helped you pull the dress on, but expertly laced the corset or fastened that long row of buttons. Now you can have this luxury experience on your wedding day!! Curvy Rose now offers a day of wedding dressing service that includes a dedicated stylist to steam your gown and help you affix your corset, fasten buttons, and tie your bustle perfectly so that you can work those curves on the dance floor! We will also be on hand to treat your bridal portraits like a styled shoot, ensuring that every fashion detail is in place for your wedding photos. Rates start at $375 for 2 hours of service. All inclusive packages available. * Please note: additional fees apply after the first two hours of service. 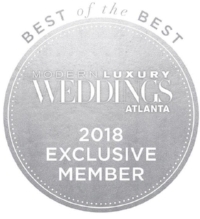 Please call (678) 957-7673 for rate information and to schedule your dressing service. *All inclusive packages include 2 stylists who will service the bride, bridesmaids, and additional members of the bridal party. Please contact us for rates. Curvy Rose also offers Bridal Fashion Styling for brides in search of the perfect look for their big day!! Sometimes it can be really difficult to identify what works for you. 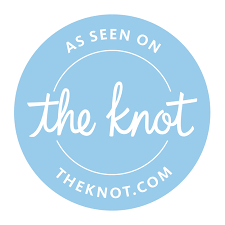 Our stylists can assist you in not only selecting bridal attire, but a bridal wardrobe that best reflects your personal style aesthetic and those in your wedding party. Services include styling for all events surrounding your big day including bridal shower, rehearsal dinner, and honeymoon. Rates start at $299. Please call (678) 957-7673 for specific rate information and to schedule your styling service. At Curvy Rose, our belief in expert tailoring and unique styling does not end after you purchase one of our gorgeous bridal gowns. Curvy Rose rounds out the bridal experience by providing alterations consultations with a select group of expert seamstresses. Since many of our brides want to customize their gowns and create their own unique look, our stylists often guide our brides through the entire alterations process, from start to finish. We serve as an advocate for our brides to ensure that they receive the look and fit they desire within varying price points. Services include styling consultations, fabric sourcing and delivery, and fitting consults throughout the alterations process. If you’re a Curvy Rose bride who is in need of an alterations consult, please call (678) 957-7673 for specific rate information and to schedule your consultation.